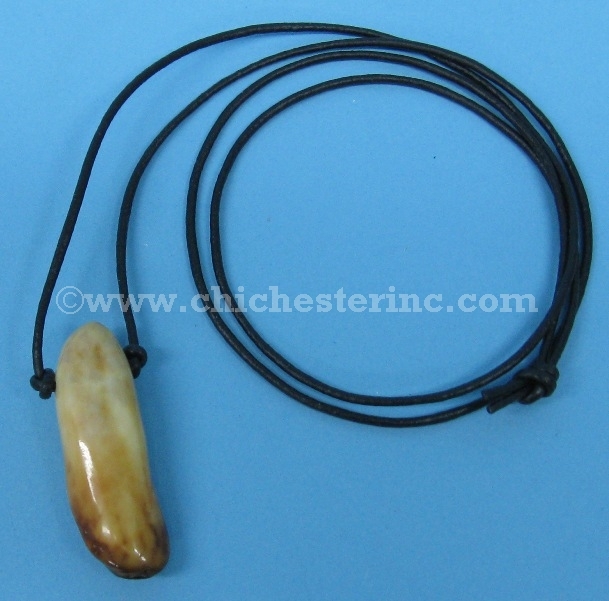 There is a fossil walrus tooth attached to a black cord. They tooth is about 1.75" long and 0.5" wide. 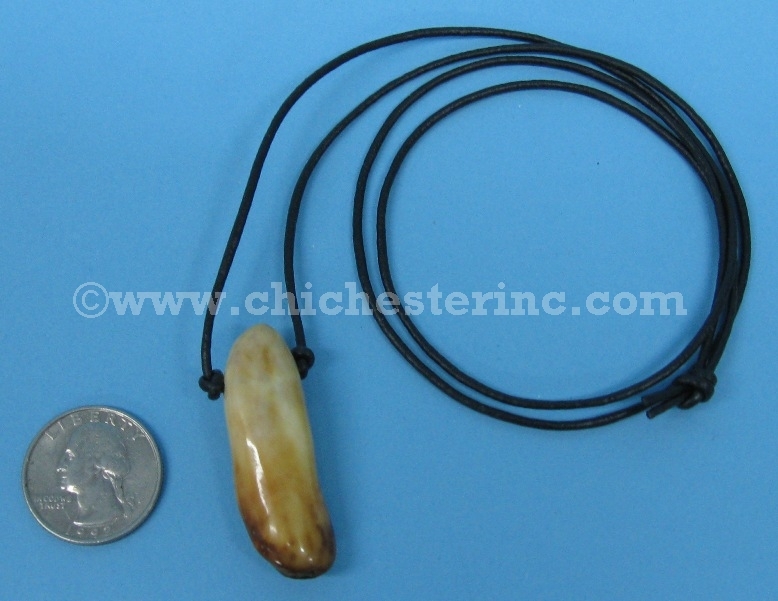 The necklace is 17" long and weighs 0.4 oz.